New Zealand farmer John Hart has been a legal gun owner for nearly two decades — but on Sunday, he turned his semi-automatic rifle over to the police to be destroyed. It's something Prime Minister Jacinda Adern has encouraged New Zealanders to do as she prepares to introduce stricter gun laws next week in response to Friday's mass shooting at two mosques that left 50 people dead and dozens injured. 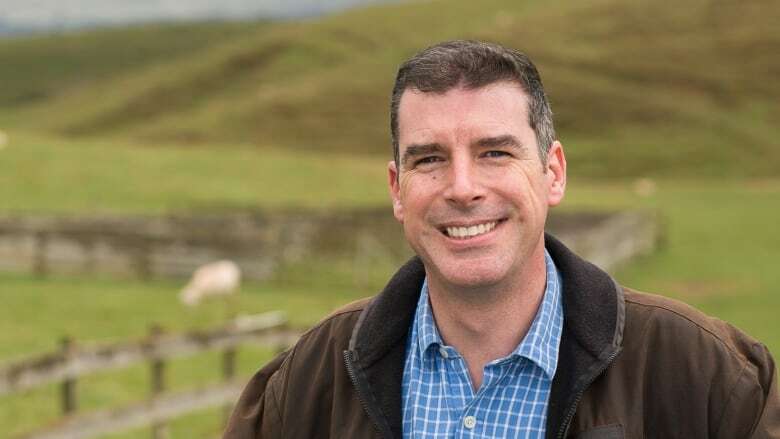 Hart, a beef and sheep farmer in Masterton, N.Z., spoke to As It Happens guest host Helen Mann about why he decided to follow the prime minister's advice. Here is part of that conversation. You were the owner of a semi-automatic rifle. Where is your gun now? It's now with the New Zealand police. And how did you come to the decision to turn it over to them? For me, it actually was a pretty quick thought process. After the tragic events of Friday in Christchurch, our prime minister came out very clearly and said our gun laws will change and need to change. And I realized that I couldn't actually disagree with her. What we've thought of as a useful tool for farming and outdoor life, the semi-automatic rifle, it's not essential. And I realized at that point that the tradeoff for me of having this sometimes useful tool for my convenience really didn't stack up against the danger of it being used to hurt people in the future. Can you explain how the weapon was sometimes useful? I mean, I think for many people, we think of those guns as being to kill people. But as a farmer, why did you have it? In New Zealand, we are a very rural nation and a large proportion of people do own firearms. And we have issues that perhaps other countries don't have, with invasive pests like goats and pigs and deer, that we actually do cull and hunt quite regularly. So for a lot of farmers, having a semi-automatic weapon is just a tool for pest control. Once you've made this decision, what was the process like of getting the gun to police? How did that unfold? In this case, after the terrorist action, the country's on a bit of a heightened state of alert. So there are now armed police outside our police stations, which is quite unusual for New Zealand. And so it was a little daunting walking into a police station with a couple of armed constables up front, carrying a gun — in a case, nonetheless — but at least it was it was pretty straightforward. I walked in, gave them the gun, signed a form and walked out. Around the world, a lot of people are taking note of the fact that your prime minister announced very quickly, within 24 hours after that attack Friday, that New Zealand's gun laws needed to change. Were you surprised that that was such a quick decision on her part? Not particularly. I was hoping that she would do something decisive and bold, and that's sort of the style of prime minister we've come to expect from Jacinda Ardern. But she's absolutely right. We really can't escape the logic of the fact that as long as these guns are around they can be misused. We hear from authorities in your country that the suspect in the attack used five guns, all apparently acquired legally. Two of them were semiautomatic assault weapons. Do you think that stricter gun laws might have prevented Friday's attack? It's always difficult to second guess, and it's obviously a very fraught situation for a lot of people. But, you know, you can't argue the fact that this this person came to New Zealand to carry out his plans. There's probably a reason why he didn't do it in Australia where he was from, and I suspect a large part of that was they have much stricter controls on those sorts of weapons. The store that sold four guns to the shooter, the owner has come forward. The company is called Gun City. He says that he supports the prime minister, at least in looking at changes to gun laws, but says it's too early to have this conversation. This will be a familiar response to people, I think, who watch the U.S. political response to shootings. What do you make of it? I get the strong impression that the vast majority of New Zealanders reject that as a suggestion, that now is exactly the time to talk about it because it's been such a tragedy. We're not yet at a place where we are desensitized to these sorts of events, because for New Zealand this is a very, very rare occurrence. So for us, one of these mass shootings is enough. Written by Sheena Goodyear. Produced by Jeanne Armstrong. Q&A has been edited for length and clarity.